Thoughts: What a stunning end to one of my favorite series. 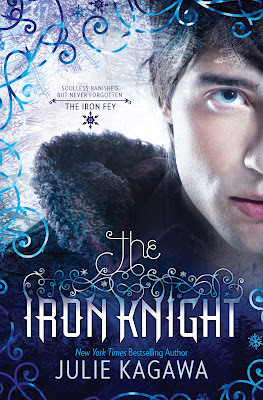 The Iron Knight does not only end the series beautifully, but has twists and turns you will never see coming. The Iron Knight leaves us right where The Iron Daughter ended, and this is Ash's story. He has sworn to Megan that he will find a way back to her. With the help of his old pals Puck, Grimalkin, and others, Ash seeks out a way to become Mortal so that he can be where his heart is... which is with the queen of the Iron Court aka. Megan. The journey turns out to be nothing like he imagined and in the end will sacrificing everything be worth it? Soulless banished. But never forgotten. 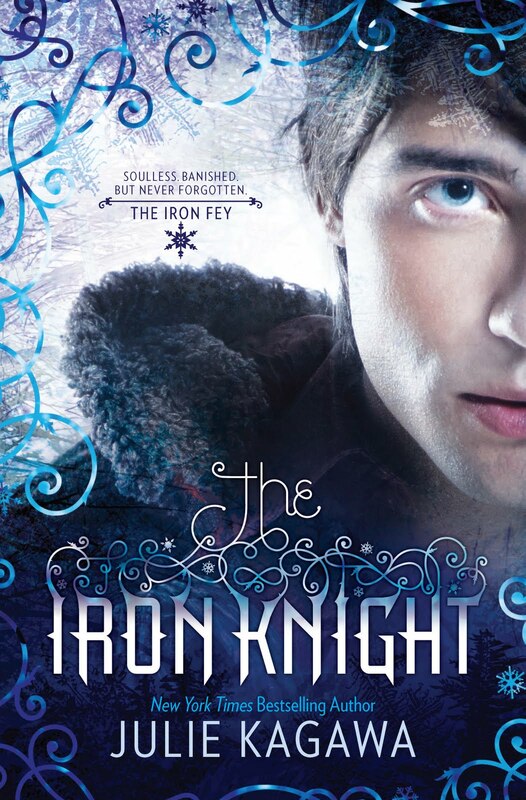 If you've talked to me or have seen my thoughts before, you know that The Iron Fey is one of my favorite series. I love every aspect of it. At the end of The Iron Queen my heart would have been torn in two, but I knew The Iron Knight was coming out. The Iron Knight has multiple twist for readers, and parts where you will most certainly want to pull your hair out. I believe at one part, I had to re-read a sentence about ten times and then managed to yell 'YOU WITCH!' (except I used the big girl word ;)). 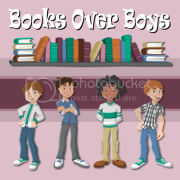 This story has the laughs you've always loved, the suspense that keeps you turning that pages, jaw-dropping moments, morals like you cannot imagine, and all together a beautifully crafted series finale. If you haven't already fallen in love with the characters of this series, you most certainly will with this one. It is easy to say I love Ash and Puck more than ever. I am SO happy with how this story and the series ended. *Super hugs!*. Julie wrapped everything up, sealed the box tight and put a beautiful bow on top. A few final notes... The past is the past, and there is a reason that it's the past and not your present, so leave it in the past and continue your life how it is supposed to be. Next, your true friends will always be there for you and it is ALWAYS okay to ask for help when you need it. Finally, if you love something enough, if you love something so much that it is your heart and soul, there is never a sacrifice that is too great. And I leave you with this... "If I have to chase your soul to the ends of eternity, I won't stop until I find you, I promise."